Pollution in Delhi worsened today as the air quality reached the 'unhealthy' category as stubble burning in Punjab and Haryana has begun. Pollution in Delhi worsened today as the air quality reached the 'unhealthy' category as stubble burning in Punjab and Haryana has begun. Burning of paddy straw every year in the months of October and November in Punjab and Haryana is one of the major contributors of air pollution in Delhi and its neighbouring cities. The smoke and fine particulate matter pollute most of northwest India, especially the national capital. The air quality in north India worsens drastically during the winter months, with heavy smog covering the region. Delhi and nearby cities, the most populous region in the country, are the worst affected when particles from stubble burning combine with industrial pollution, vehicular emission and dust due to construction. Adults and children with respiratory disease, such as asthma, must avoid prolonged outdoor exertion in this pollution in Delhi. 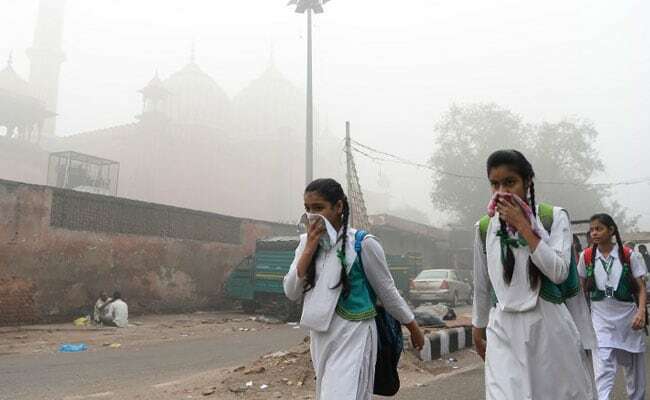 In the last few days, since the onset of the crop residue burning in the neighbouring states of the capital during winters, the air quality in Delhi and regions across the Indo-Gangetic plain, has moved to the poor and very poor category. Delhi's air quality was poor for the fourth consecutive day on Thursday. Delhi has today witnessed a misty morning with the minimum temperature recorded at 17.5 degrees Celsius, three notches below the season's average. It will be a partly cloudy sky towards the afternoon with possibility of light rains or thundershowers, news agency IANS reported. 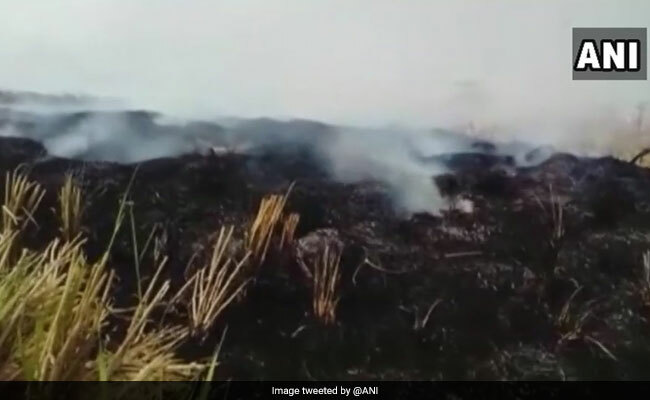 Despite an imposed ban, farmers in Haryana's Karnal district have started to burn stubble anyway. "We know that it causes pollution but we have no alternative. We are forced to do this. We are helpless," a farmer told news agency ANI. On Thursday, the deputy commissioner of Karnal said that farmers burning stubble were stopped and fined.